Unfortunately, disasters happen. Too often we see news footage of pet owners desperately deciding what to do in an emergency. Whether it’s a natural disaster or a sudden crisis, it’s important to have a plan. 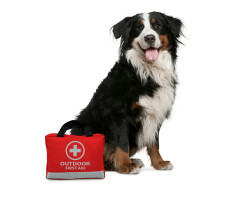 Many families keep first aid kits, perhaps even an emergency bag, but few pet owners think to include essential items for their little buddies. Here are a handful of helpful tips and ideas to guide as you make a plan perfect for your family. Ideally, many seemingly random items from a junk drawer can help save your furry friend in a pinch. Old credit cards can help remove insect stingers; eye droppers or needleless syringes can help feed small or injured animals. A penlight or flashlight is always helpful; needle-nose pliers or hemostats can help with tough jobs. Popsicle sticks or tongue depressors can help you evaluate your pet or serve as a makeshift splint for a sprain. Pet parents can be creative in making their pet first aid kits, accommodating for any lifestyle considerations (like hiking) or dietary issues (such as diabetes). Emergency Go Bag When an emergency happens, rarely do we have the time to grab everything we need. Whether it’s a violent storm or a house fire, emergencies come in an instant. Protecting our most prized possessions means making sure everyone knows what to do and where to find what they need. Aside from keeping kennels and collars in a place near the exit, an emergency go bag for your four-legged friends is highly recommended. Similar to a typical emergency go bag, the essentials include food, water, and medicine. Puppers, kitties, and other pets have extra needs, plus they’re more prone to stress; animal emergency bags require extra consideration. FEMA provides a guide specifically for pet owners to help build the perfect emergency kit. Food: Keep at least 3-5 days of food in an airtight, waterproof container. Water: Make sure to include 3-5 days of water, in addition to water needed for yourself. Medicines: It’s recommended to keep an extra supply of essential medicines or supplements in a water-proof container. First Aid: Don’t forget to add the kit we recommended above. Identification: Keep copies of your vet’s contact information and microchip records, as well as vaccination records (shelters may require them). Adoption papers and pictures together can also help prove ownership. It may help to keep everything in a common folder, as well as online or saved in your phone. Leash and Collar: Make sure your collars have up-to-date contact information; try to keep several spare collars and leashes in the bag and in your car. Crate or carrier: Make sure the carrier is comfortable and kept in an easy-to-find location. The stay may be long and most pet-friendly shelters require carriers. Sanitation: Make sure to include poop bags or a litter box, even spare grocery or trash bags go a long way. Stress and Comfort: Stress can seriously affect a fur baby’s health, keeping familiar toys, treats, bedding, and chews can help them feel at more at ease. Emergency kits are the perfect item to keep in any home and can be easily incorporated into your everyday life. 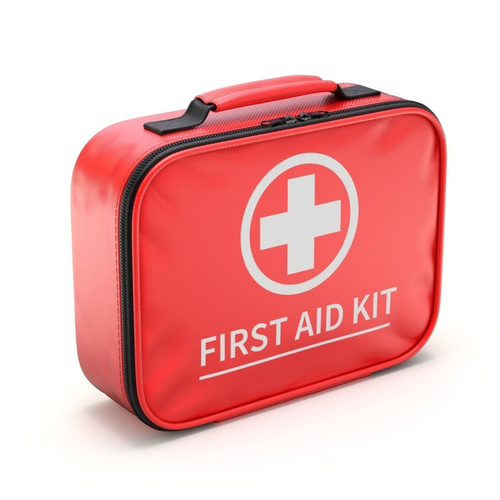 Keep an emergency kit in the car or in your hiking bag in case of an injury. Your kit can be personalized to fit your furry companion’s personality. Just make sure to keep records up-to-date and check the expiration date every few months. Planning Ahead Having an emergency plan goes far beyond having the right items in the right place for the right time; it means knowing exactly where to go and who to contact to ensure everyone you love is safe. Personal emergencies happen as unexpectedly as any other disaster, having a network of support goes a long way. Create a contact list of friends and neighbors that can check on or temporarily house your fur babies when something important comes up. The ASPCA recommends contacting local hotels, animal shelters, and emergency response groups to identify which accept pets during emergencies. Not all emergency centers accept pets, so making a plan ahead of time is crucial. Emergency plans should include the entire family. Make sure everyone in the home knows where to find the emergency kit, kennel, and leash. Consider making a person in the household in charge of the pets as part of your disaster plan. When it comes to disaster planning, protecting our beloved fur balls is a top priority! Preparing every member of the family, including our cute critters, depends on creating habits and arrangements ahead of time. Start today by searching your house for perfect go-bag items, you’d be surprised how many useful things there might be. To learn more about what you can do for animals during natural disasters, please contact your local ASPCA or Humane Society. Although all pets need to stay active, kitties may require extra attention when they live indoors. Whether your kitty likes to play with anything or just cuddle, here are a few clever ideas to convince your kitty to get up and stay moving. Pet parents are always wondering, "is this safe to feed my dog/cat?" Here are several foods that should be avoided and others that should be fed with caution. Now you can safely share a meal with your pet while ensuring their health! From donating supplies to fostering animals, learn what you can do to help dogs and cats when natural disaster strike.